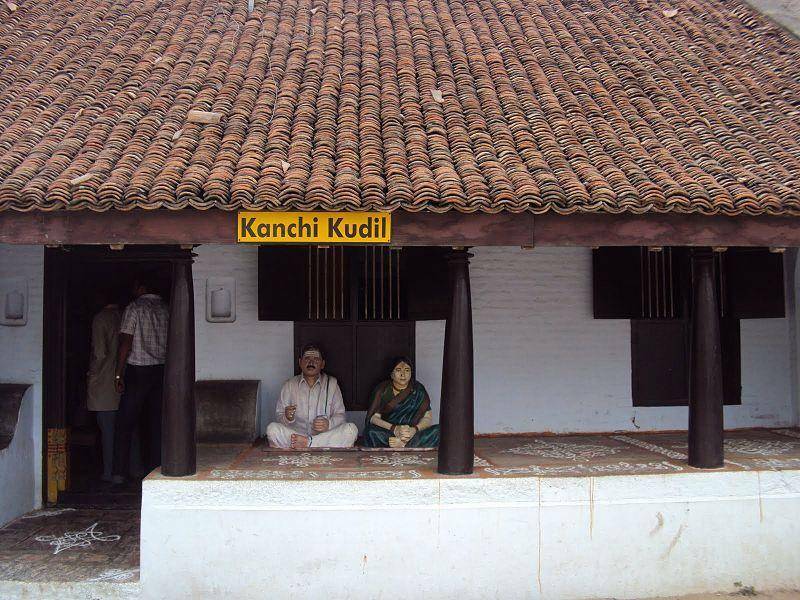 Being located on the Sangeetha Vidwan Nainar Pillai street, Kanchi Kudil is an heritage museum which takes the tourists to the ancient social, cultural,religious, and architectural legacies. This 90 year old house characterizes the lifestyle of agricultural family. Tourists can see the entire house was segmented as Master’s Chamber, Women and Children rooms, Verandah, Kitchen, airy courtyard etc. Replicas of Kanchipuram temples and monuments are well maintained here. Live demonstrations performed by artisans and craftsmen are enticing. Tourists can collect some exquisite souvenirs from Kanchi Kudil.